To develop the ‘Wonsan-Mount Kumgang International Tourist Zone’, plans have been put in place to build a General Financial Complex and five-star hotel in Wonsan. According to the proposal, the target of investment is the Chungdong district and parts of the Sangdong district of Wonsan (Kangwon province) with a total area of 300,000 square kilometers. The total amount to be invested was set at USD 196,560,000. In addition, the proposal sets out plans to first construct ten separate buildings, including 10 units of rental housing, a three-star hotel, an international finance complex, a department store, an indoor gym, and a restaurant for world cuisine. It also makes clear that existing housing, commercial facilities, offices and factories in the area will be demolished. With respect to international investors, the proposals envisage that development will utilize the BOT (Built-Operate-Transfer) method. BOT is a method of funding infrastructure projects in which a contractor is given the right to operate a set of facilities for a prescribed period in order to recover both the initial investment and a profit, before control of the facilities reverts to the contracting party. Moreover, the separate ‘General Finance Center Proposal’ was also released via Naenara on the same day– the building is set to be 15 stories high, with additional two basement floors. The complex has a total area of 1,500 square meters, the actual building area of 800 square meters, and total floor of 12,000 square meters. The building will play host to banks, office space and restaurants. Here is the text from the Naenara article (PDF). 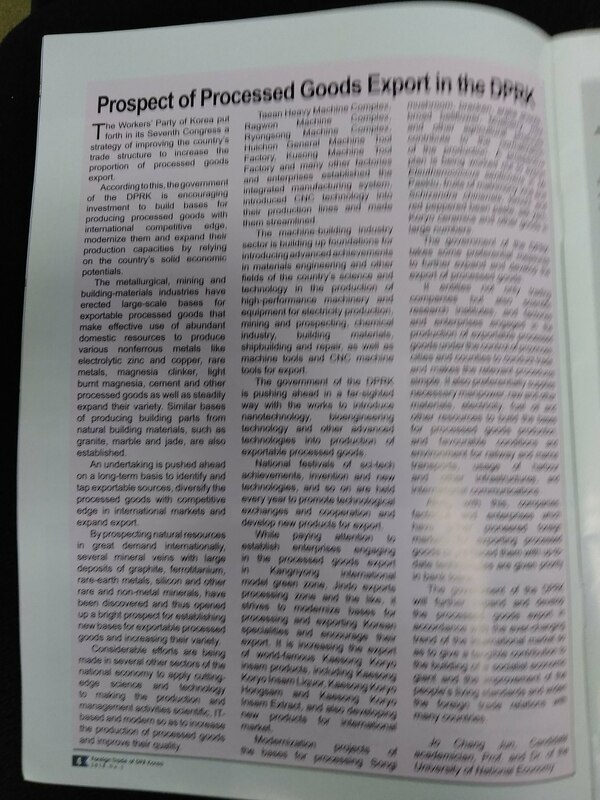 In the most recent issue of Foreign Trade (2016, No. 2), the DPRK publishes “REGULATIONS OF THE DEMOCRATIC PEOPLE’S REPUBLIC OF KOREA ON ENVIRONMENT PROTECTION IN ECONOMIC DEVELOPMENT PARKS“. 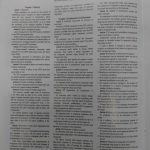 I have painstakingly copied the regulations to a stand alone PDF and uploaded it here. 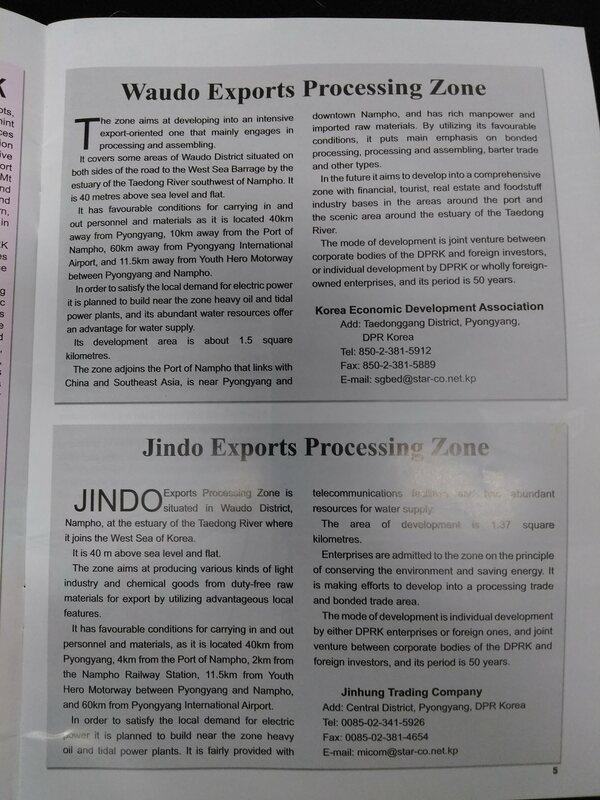 The North Korean quarterly magazine, Foreign Trade, published information on the Jindo and Waudo economic development Zones (straddling the Ryongnam Ship Repair Factory). Economic development parks in the DPRK are booming recently. 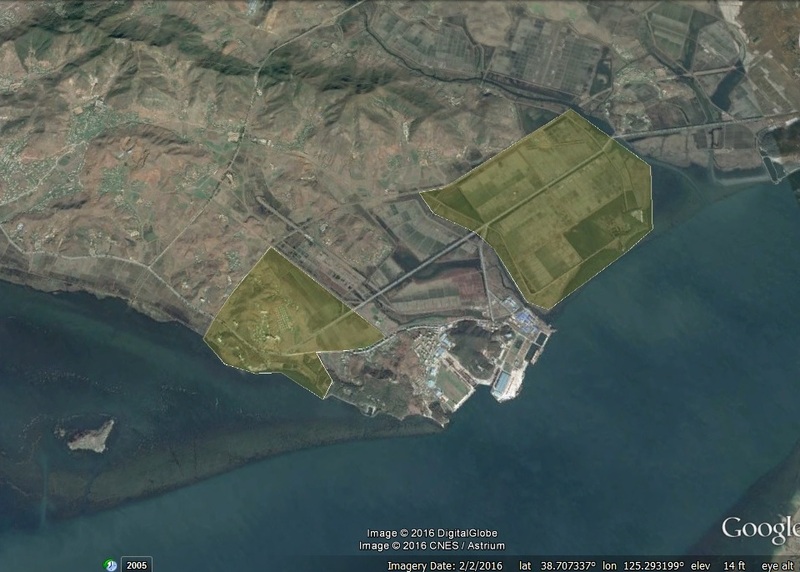 The city of Nampho is conducting processing trade by relying on the bases in Jindo and Wau Islet, taking advantage of its favourable economic and geographical conditions. As a gate city on the coast of the West Sea of Korea, the industrial city has an international port. 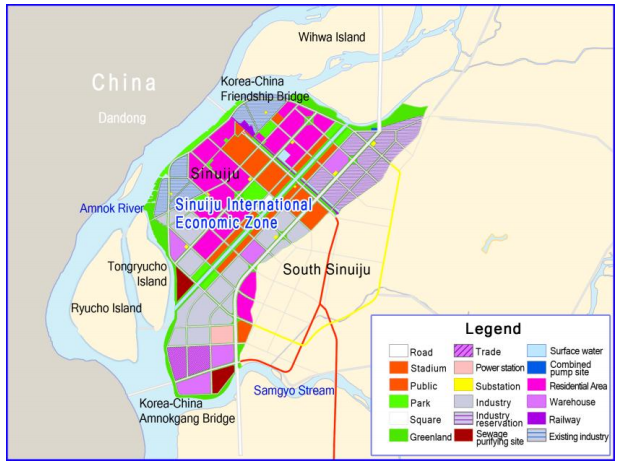 The city, situated on the lower reaches of the Taedong River, boasts metallurgical, machine building, glass-making industries, and lead and zinc refi ning, silk fabrics and shipbuilding bases. It has the country’s biggest salt works and a fishing station, a fishing implements manufacturing factory and a refrigerating plant. The Port of Nampho, the biggest of its kind in the western part of the country, is at the northern shore of the Taedong’s entrance to the sea. The water is deep, the port itself is far inside the estuary of the Taedong River and the dams of the West Sea Barrage stand high, assuring safe navigation by ships. There are around ten major berths and crane ships, loading bridges and conveyor belts. Wau Islet off the port is one of the famous tourist spots. The port is linked with over a hundred foreign countries and regions for commercial trade. The zone aims at producing various kinds of light industry and chemical goods made from duty-free raw materials for export. 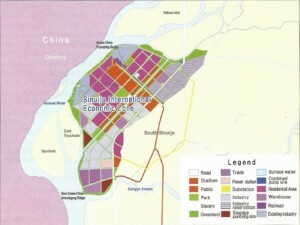 Project plan: The coverage of the zone is about 1.8 sq km. 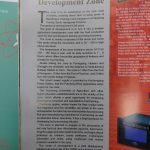 By taking advantages of the Port of Nampho nearby and tens of years of development of the machine-building, electronical and light industries in Nampho, it processes various goods and exports them. Enterprises are admitted to it on the principle of conserving the environment and saving energy. It strives to develop new products and industrial fields, realize technical transfer with other countries and thus contribute to revitalizing the domestic industry. It is also making efforts to develop into a processing trade and bonded trade area. 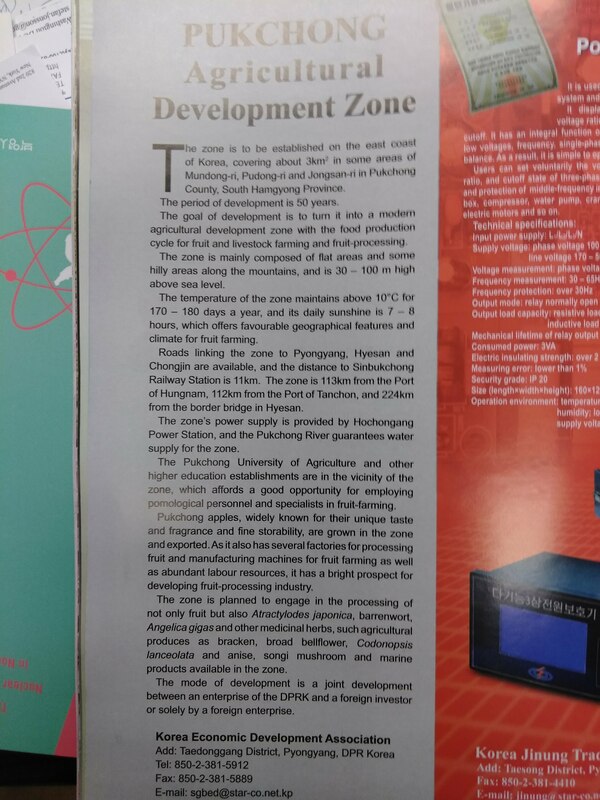 The zone aims at developing into an intensive processing trade zone by introducing advanced development and operation mode and by placing stress on export-oriented processing and assembling. Project plan: The zone covers an area of about 1.5 sq km. 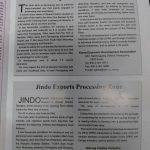 By utilizing its favourable conditions, it puts main emphasis on bonded processing, processing to order, barter trade and other types of export-oriented processing industry. 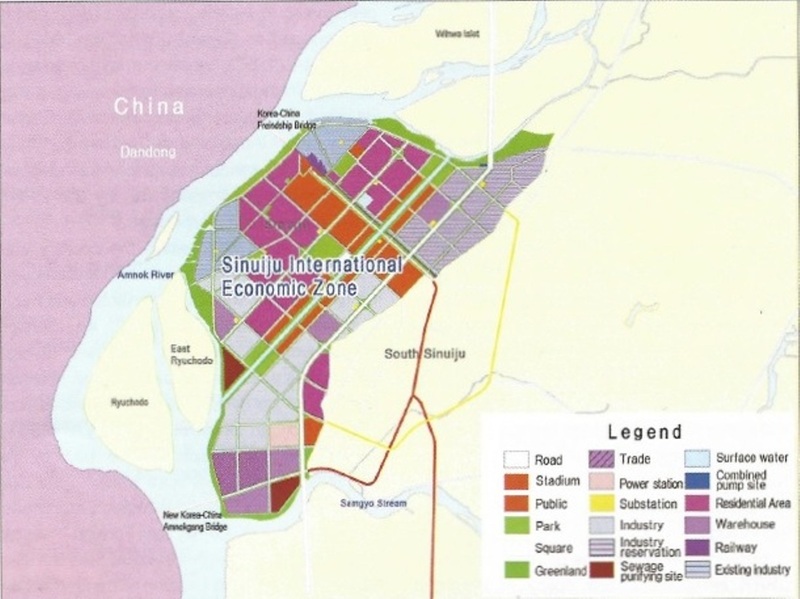 It aims to develop into a comprehensive zone with financial, tourist, real estate and foodstuff industry bases in the areas around the port and the scenic area around the West Sea Barrage. Cooperation mode: Joint venture between corporate bodies of the DPRK and foreign investors or wholly foreign-owned enterprises. Location: Some parts of Ryongnam-ri, Waudo District by the estuary of the Taedong River southwest of the city. Infrastructure condition: Only 50km away from Pyongyang and a few kilometres between the port, the biggest international port in the country, and the railway station. From the port it is 330km to Dalian, 332km to Weihai, Shandong, 930km to Shanghai and 695km to Tianjin, China, and 1 575km to Chinese Taipei. 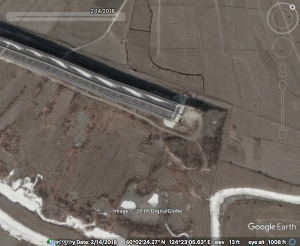 The Youth Hero Road between Pyongyang and Nampho facilitates the few scores of kilometres of travel to the Pyongyang International Airport. These all provide favourable conditions for domestic marine transport and entry and exit of foreign personnel, materials and funds. 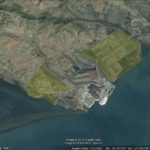 A 600,000kW-capacity power station and 10,000kW-capacity tidal power station are intended to be built near Kwangnyang Bay beside the West Sea Barrage. The Taedong fully guarantees water supply. The site was formerly occupied by a salt farm, so problem of removing structures does not arise. The area is 40m above sea level and flat. A screen shot of the original article can be seen here. NK News has additional analysis here. The DPRK Chamber of Commerce invited a delegation of the Slovenian Chamber of Commerce headed by Yan Mishra, director of the external cooperation agency, to discuss the issues related with developing nongovernmental economic exchanges and trade and investment in the Wonsan-Mt Kumgang International Tourist Zone. During their stay the delegation exchanged opinions about the practical issues arising in realizing economic exchanges and trade between the businesses of the two countries and agreed to develop bilateral relationship and cooperation to activate non-governmental economic exchanges. And they discussed the issues about a possible visit to Pyongyang in 2016 by a delegation of the Slovenian Chamber of Commerce comprising businesses that wish economic exchanges and trade with the DPRK and its presentation of rolling stock and electric products like tractor, timber transporter and motor generator at the forthcoming Pyongyang International Trade Fair. Another agenda item of discussion was a possible participation by the trade companies of the DPRK in the international trade fair to be held in Slovenia in 2016 and their visit to factories in the country. The investment policy and environment in the DPRK and the work of economic development parks like the Wonsan-Mt Kumgang International Tourist Zone were introduced, and possibilities of investment and cooperation by businesses of the two countries in these parks were discussed. In addition, the DPRK Chamber of Commerce arranged meetings between tens of local organs like the Korean Association for the Research and Development of Greening, Plant Import and Export Company, Kumsu Corporation, Korea Titanium Development and Trading Company, Central Imports Exchange Company and members of the Slovenian delegation so that they can exchange opinions on the matters of mutual concern. 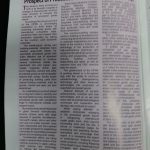 Screenshot of the article here. What better way to start off the weekend than to go through North Korea’s latest batch of political slogans (“Joint calls/공동구호”)? 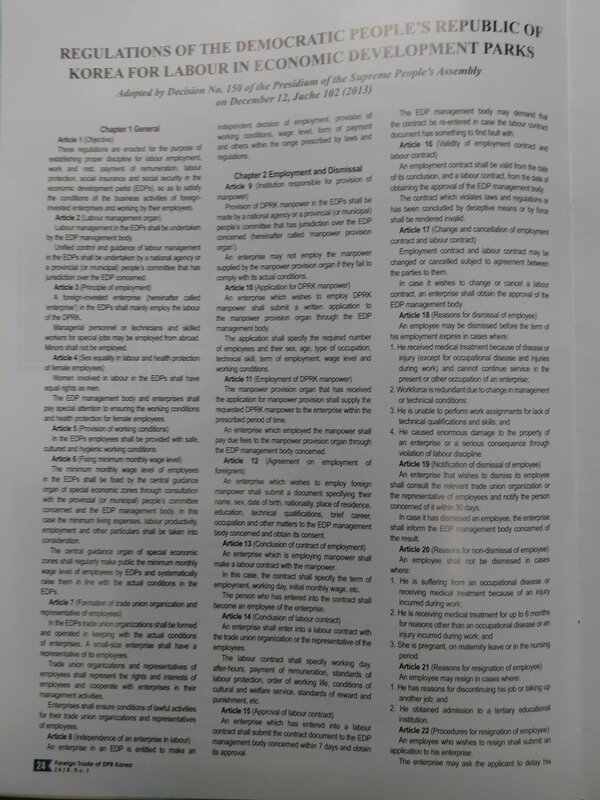 These were issued collectively by the Central Committee and the Central Military Commission on Wednesday February 17th, and printed on the frontpage of Rodong Sinmun, as part of the run-up to the 7th Party Congress to be held later this year. The calls underlined the need to make hurrah for the WPK and socialism resound far more loudly this year when the Seventh Congress of the WPK is to be held by staging an all-out death-defying struggle for building a thriving nation and improving the people’s living standard. The Byungjin line is alive and well. Let’s dynamically wage this year’s general advance in the same spirit as shown in succeeding in the H-bomb test! Let’s build an economic giant as early as possible with the strength and the spirit of Korea and at the Korean speed! Send more satellites of Juche Korea into space! As often before, the satellite launch and the hydrogen bomb test are tied into the theme of economic development: both are technological advancements, showing the overall progress of the economy. Produce more new-generation electric locomotives and passenger cars! A shout-out to the domestic car industry? Put the manufacture of Korean-style world-class underground trains on a serial basis! The domestically manufactured subway cars haven’t been forgotten. One wonders if people living outside Pyongyang feel as strongly about them. Step up the modernization of the mining industry and keep the production of nonferrous metal and non-metallic minerals going at a high rate! Provide more resources for building an economic giant by channeling effort into prospecting underground resources! At least now Jang Song-taek can’t touch them anymore. Make the foreign trade multilateral and diverse! 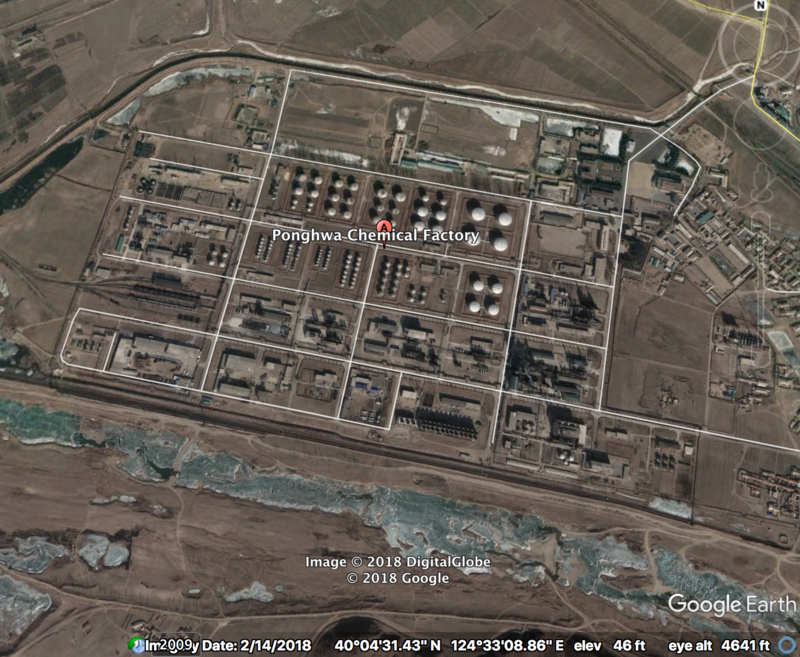 This is interesting, and a clear statement about an important rationale for the SEZs: North Korea will remain politically and economically vulnerable as long as China continues to be its single largest trading partner by a large margin. Let’s greet the 7th Party Congress with proud achievements in the improvement of the people’s living standard! The people “will never have to tighten their belts again”, as Kim Jong-un said in his first public speech in 2012. Achieve a great victory on the front of agriculture this year! Which the regime has already claimed it did last year. The UN doesn’t agree. Let’s give a decisive solution to the problem of consumer goods! Let’s produce more world-competitive famous products and goods! North Korean media has highlighted strides in consumer goods production several times this year. 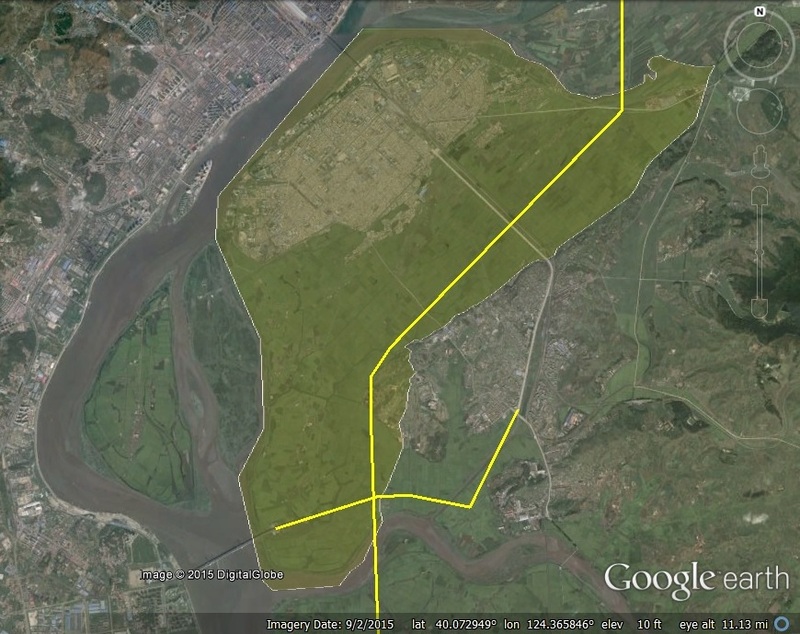 Make Wonsan area an icon of city layout and build it into a world-level tourist city! A shout-out to the Wonsan tourist zone, presumably. Establish Korean-style economic management method guided by the Juche idea in a comprehensive manner! Sounds like the management reforms, with greater autonomy for enterprises, are still on the table. Let the entire party and army and all the people turn out in the forest restoration campaign! And make sure they “properly conduct fertilizer management“. This is the only reference among the slogans to the forestry campaign, where the regime has publically acknowledged some crucial and systemic problems, but is yet to find a credible solution. Put an end to proclivity to import! Does this tell us something about North Korea’s trade balance that the numbers aren’t showing? The Korean People’s Internal Security Forces should sharpen the sword for defending their leader, system and people! Note that “people” comes after both “leader” and “system”. Let us thoroughly implement our Party’s policy of putting all the people under arms and turning the whole country into a fortress! Enhance the fighting capacity of the Worker-Peasant Red Guards by intensifying their drills as the anti-Japanese guerillas did in Mt. Paektu! Develop and produce a greater number of various means of military strike of our own style that are capable of overwhelming the enemy! These four slogans seem to be saying that the Four Military Guidelines, adopted in 1962 by the Central Committee, are still very much in play: 1) arming the population, 2) fortifying the country, 3) establishing a cadre-based army, and 4) modernizing military equipment. Mao would probably have been happy to know that his People’s War Doctrine lives on in North Korea. The whole list of slogans is very long, and saying that policy areas need to improve, or that production in a certain area needs to go up, isn’t much of a policy line. Still, it’s interesting to see what areas are highlighted. 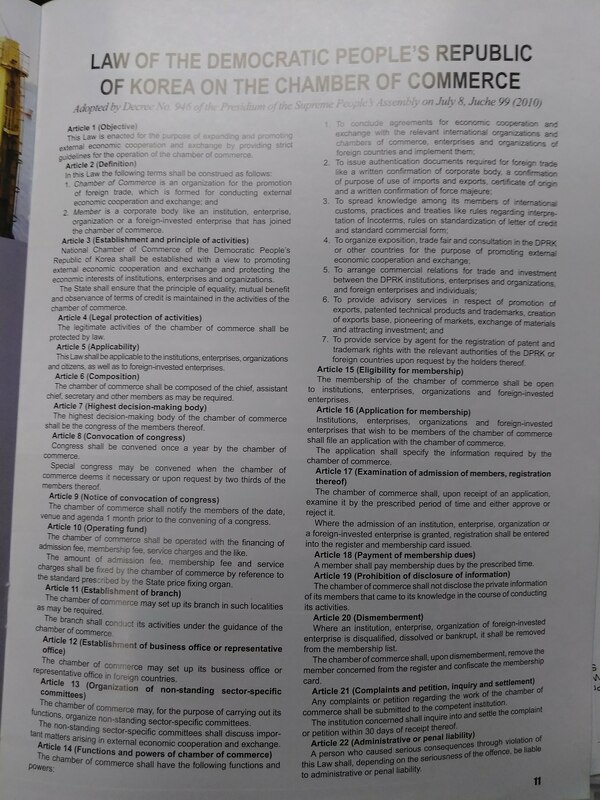 The government has set new regulations to control tourism in the economic development zones. Tourism regulations were adopted by decision No. 90 of the Presidium of the Supreme People’s Assembly on December 23 2015. 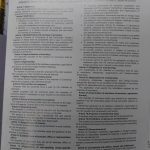 The regulations containing 32 articles in five chapters are applicable to EDZs established for tourism. The DPRK citizens, overseas Koreans and foreigners can tour EDZs in various styles and methods including visit, sightseeing, vacation, amusement, sports, experiencing and medical treatment. Personal safety, human rights and property of tourists in EDZs are protected by the law of the DPRK. Management of tourism is undertaken by the managing authorities of EDZs. The zones encourage planned development and protection of tourism resources such as scenic attractions, historic relics and remains and natural monuments. Investors can invest, establish and run businesses in such fields of travel, lodging, restaurant, amusement, welfare services, production and sale of souvenirs and development of tourism resources in the zones with the approval of the management authorities of EDZs. In case of establishing a travel company in the zones, license of the central tourism guidance organ should be gained through the management authorities. After receiving the license, the travel company should register its business with the management authorities and receive business registration certificate. When an investor wants to set up and run a tourism service business in EDZs, he or she should obtain the approval of the management authorities following relevant regulations. Tourists who want to travel EDZs should apply for tourism directly or via local and foreign travel companies outside relevant EDZs. Anyone, who did any harm to personal safety, health and property of tourists, failed to provide proper service obliged by contracts, destroyed tourism resources or caused any damage to businesses and individuals, bears such civil liabilities as to restore them to their original state, or pay compensation, penalty and arrears. 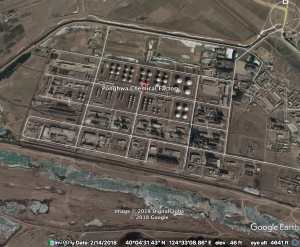 The DPRK has modified its labour regulations for the economic development zones, which were worked out according to a decision of the Presidium of the Supreme People’s Assembly on December 12 2013. According to them, a foreign investment business is encouraged to employ local manpower as much as possible but it may hire foreign management staff, specialists and technicians. The fixed monthly minimum wage is set by the central agency for the special economic zones guidance in consultation with relevant provincial-level people’s committees and EDZ management agencies. An employee is supposed to work 8 hours a day or 48 hours a week on average. A business shall make sure that employees take rests on local holidays and Sundays. The forms of payment to the employees involve wage, incentives and bonuses. According to the quality and amount of work, payment should be done correctly and employees who have carried out the same amount of work are to be paid evenly on an equal footing irrespective of gender and age. The monthly wage is up to a business. In this case, it cannot be set lower than the fixed minimum wage. While making preparations to start operation, a business may set the salary for employees, apprentices and unskilled hands within the scope of over 70 per cent of the fixed minimum wage. A business shall pay for its employees’ regular and supplementary leaves in accordance with the number of their days off. Female staff on maternity leave shall be paid over 60 per cent of the leave allowances. If a business works an employee while on leave, it shall pay him or her the equivalent of 100 per cent of the wage per day or hour, as well as their leave allowances. 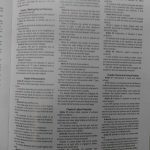 A business shall give supplementary living allowances that account for over 60 per cent of their wages per day or hour to those who are under training or out of work due to the management. When it works an employee late at night or overtime, the business shall pay him or her 150 per cent of the wage per day or hour. If the work is done overtime late at night, 200 per cent of the wage per day or hour shall be given to the worker. If a business works an employee on holidays or Sundays without compensatory days off, it should pay 200 per cent of the wage per day or hour. 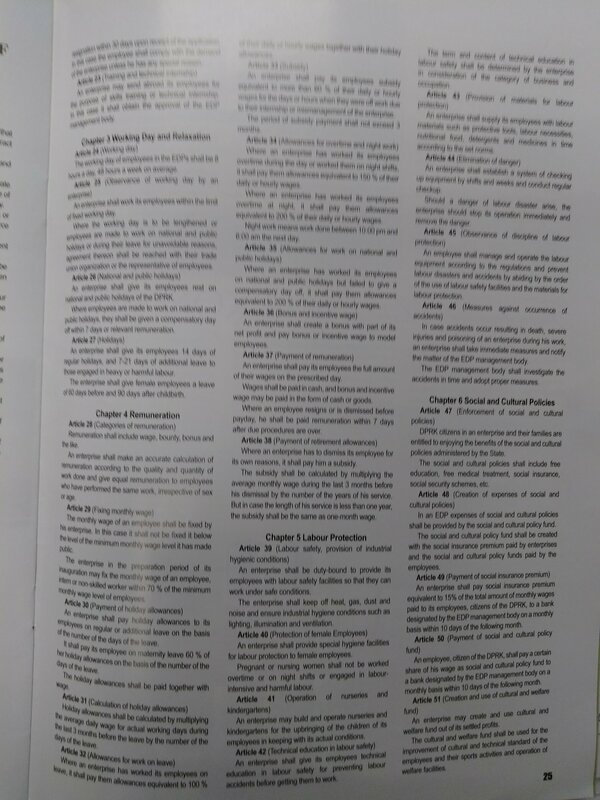 The wage is given in cash, and the bonuses and incentives may be paid in the form of notes or goods. The DPRK citizens and their families in the EDZ are to benefit from the social and cultural policies of the government, namely free education and medical service, social insurance and social security. If any breach causes damages to the lives, health and properties of a business or employee, it shall be restored to their original state or compensated duly for the damages. 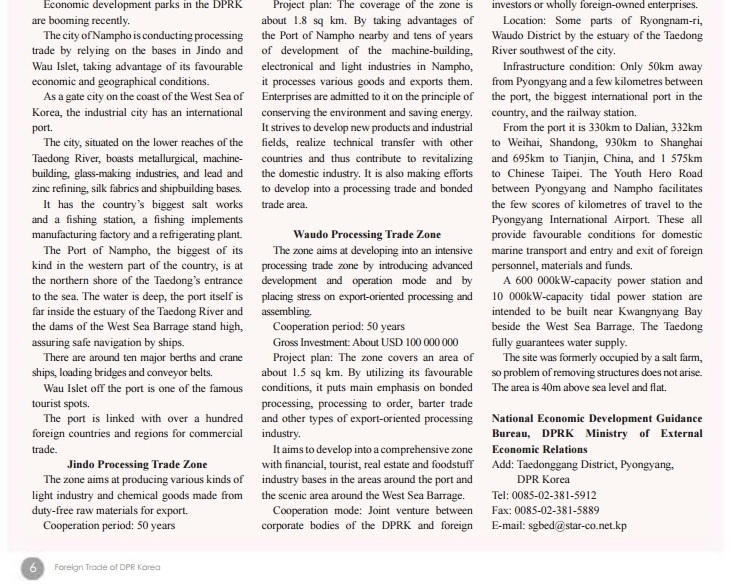 You are currently browsing the archives for the Economic Development Zones (2013) category.